85% conversion rate, +75% average spending, +50% active app users: this are the most important KPIs telling the story of the use case developed by NearIT in the retail world. 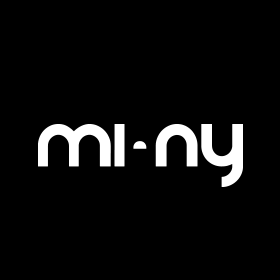 Our partner in this adventure is MI-NY, the well-know cosmetic brand with stores in Italy and in abroad. The declared goal at the beginning of our adventure was to increase the high-value traffic in the 8 Italian stores, with a focus on the generation of new clients that could quickly become loyal. 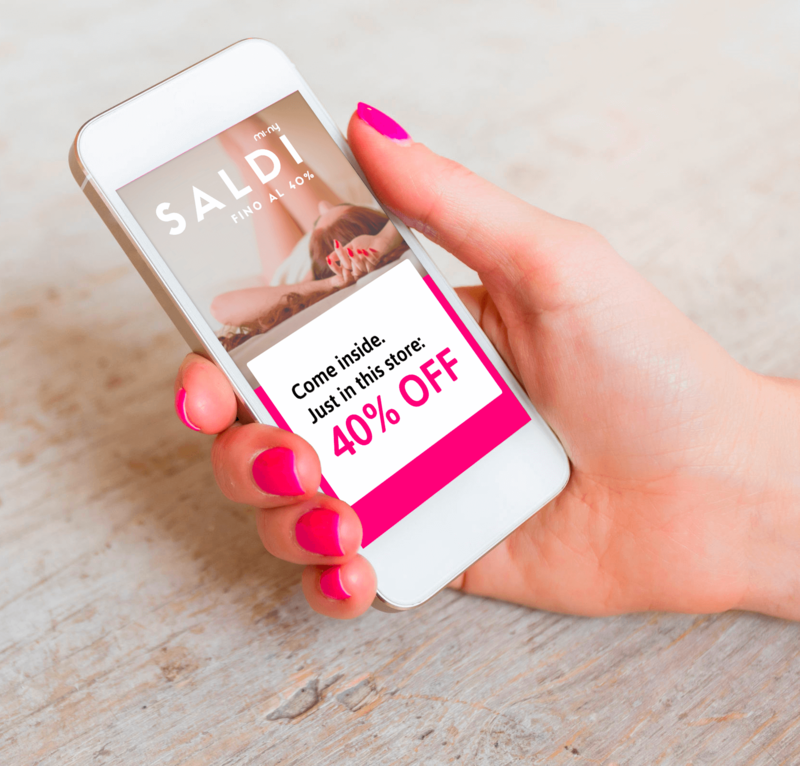 Proximity marketing immediately popped-up as the best solution to increase the rate of loyal customers thanks to the advantages of a contextualized engagement. But before that a communication strategy was necessary in order to generate a noteworthy mobile customers base. Our activity was thus divided in two phases, with a first focus on developing social campaigns and a second step centered on proximity marketing. A key requirement to develop a proximity marketing and engagement strategy with NearIT is to have a consistent number of mobile app users. The more the users of the app, the larger the group of people that can be reached with targeted campaigns. In this specific case, MI-NY offers to its clients a very valuable app, including various services among which there is the Fidelity Card. This card, tool that allows to collect loyalty points, is only available after the app is downloaded. However, having the MI-NY app on the smartphone isn’t enough. It’s in fact important that users are able to really understand what this new type of communication is, in order to have a higher effectiveness of the dedicated mobile proximity campaigns. Facebook and Google AdWords campaigns thus came into action, not only to convert new app downloads (and increase the app user base), but also to educate users on how to take advantage of proximity marketing using geolocation services and BLE on their smartphones. These activities led to a considerable increase in app downloads, creating the optimal user base required to start the second phase. Let’s now move on to the second phase characterized by the contextual marketing, where NearIT played a key role. For this purpose beacons were placed in all the 8 Italian MI-NY stores, one just outside the store and one inside. 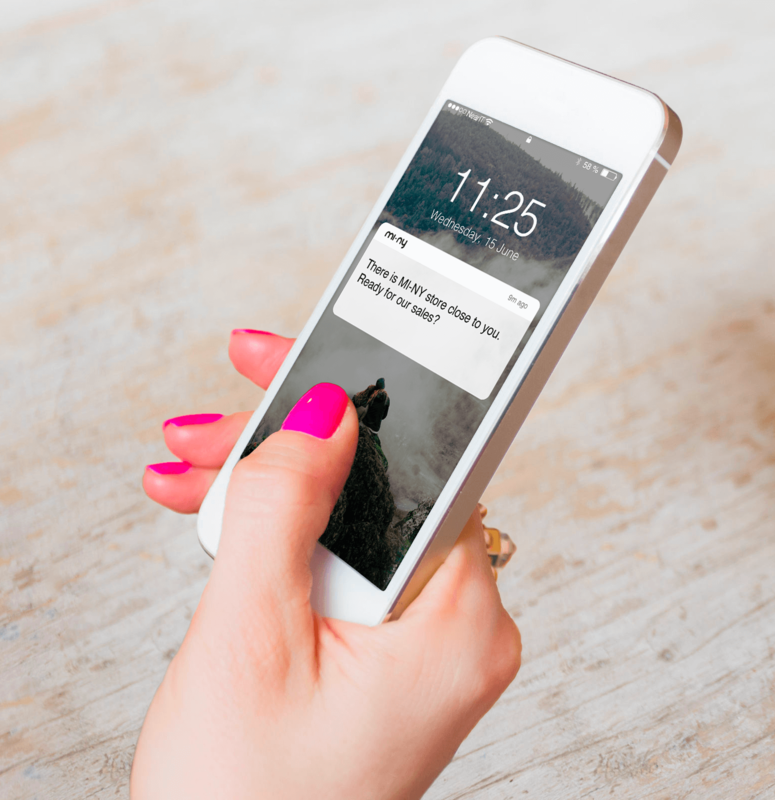 The beacon placed outside triggered two different notifications that users could receive with the app closed or in background. These notifications invited users to enter the store by informing them about the active promotions. The beacon inside the store triggered a content only for users with the app opened. This content was in fact a tutorial video on how to use some MI-NY products and acted as a support for the purchase decision. These well-planned and very focused activities led to extremely positive results. On one side in fact they converted new sales, on the other instead they enriched the CRM. 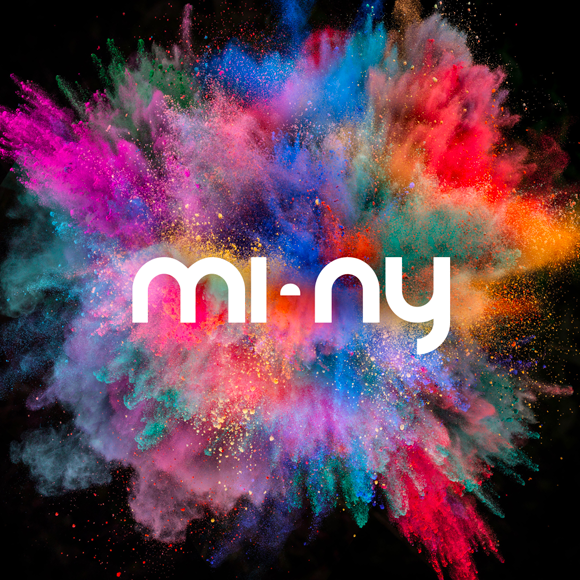 This second aspect, in particular, is of great value for MI-NY because these data can be used to create campaigns more targeted on the needs and interests of the clients, and therefore potentially more effective. APP USAGE: throughout the duration of the campaign, active app users (i.e. users who opened the app at least once) increased by 50% compared to the previous months. As we said above, our strategy didn’t just lead to sales related advantages: to obtain the fidelity card users had to share with MI-NY information such as date of birth, profession, favorite color and more. This information has a great value for MI-NY in terms of CRM, because it will allow to create more relevant promotional activities such as proximity marketing campaigns with personalized contents. We can definitely conclude that the combined effort of social activities and contextual mobile engagement with NearIT has been the winning strategy to reach the goal we set at the beginning: a clear increase in the number of new high-value loyal customers.